Product prices and availability are accurate as of 2019-04-11 12:23:21 EDT and are subject to change. Any price and availability information displayed on http://www.amazon.com/ at the time of purchase will apply to the purchase of this product. The DC-10 is a three-engine wide-body jet airliner manufactured by McDonnell Douglas. The DC-10 has range for medium- to long-haul flights, capable of carrying a maximum 380 passengers. 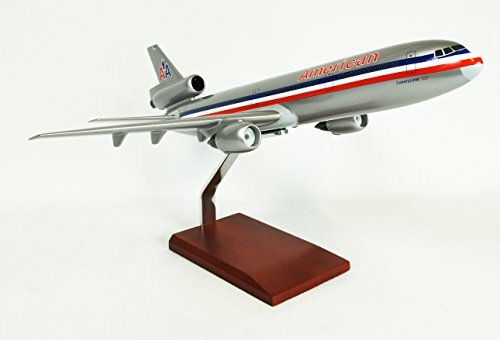 The model was a successor to McDonnell Douglas's DC-8 for long-range operations, and competed in the same markets as the Lockheed L-1011 Tri-Star, which has a similar layout to the DC-10. Production of the DC-10 ended in 1989 with 386 delivered to airlines and 60 to the U.S. Air Force as air-to-air refueling tankers designated the KC-10 Extender. The largest operator of the DC-10 is U.S. cargo airline FedEx Express. This specific DC-10 is the DC-10-30, which is a long-range model and the most common model produced. 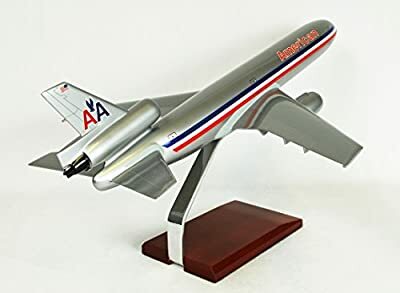 This specific model is painted in the American Airlines paint scheme. American Airlines is a major U.S. airline headquartered in Fort Worth, Texas. American Airlines operates an extensive international and domestic network, with scheduled flights throughout North America, the Caribbean, South America, Europe, and Asia/Pacific. This handcrafted model is painted in the same paint scheme as the original and is painstakingly built from Philippine mahogany by our skilled craftsmen. 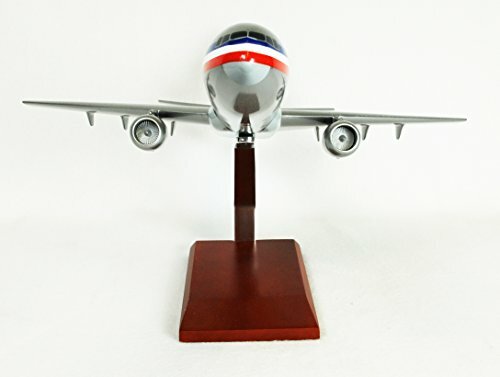 Perfect as a gift for any aviation enthusiast and history buff!